Newman’s now carries a sustainably farmed, certified organic Chinook salmon from the Pacific waters off the coast of Vancouver Island. We are pleased with the quality of the salmon and welcome your experience as you give it a try. Creative Salmon Organic has made a tremendous effort to secure organic farming certification, no antibiotics, no growth hormones, fed a natural diet, and raised in a low density environment. 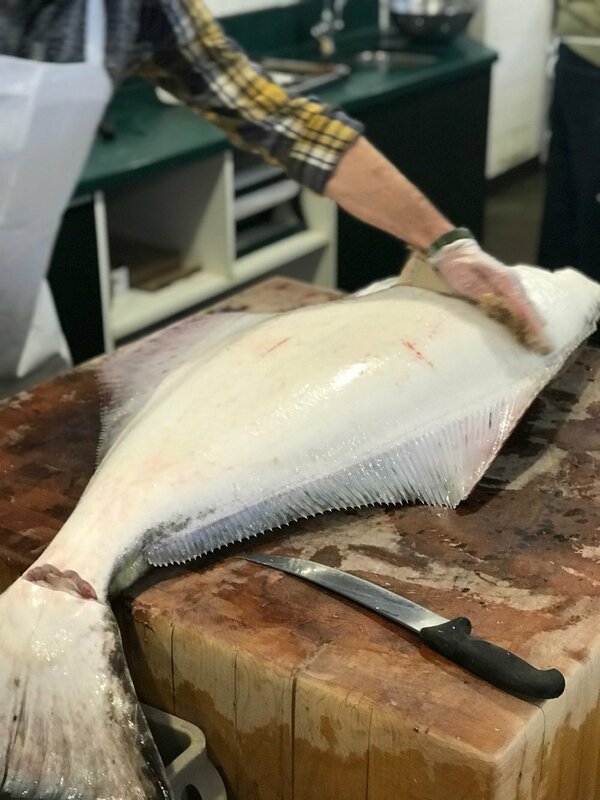 Since they are farmed Chinook they are available fresh, year-round, and are shipped to our market within 48 hours of harvest. We offer a bay shrimp salad on our take-out menu and it is a great alternative when you are looking for a light meal with protein of for those wanting a gluten free option. We also have plenty of shrimp in the market to use in stir-frys, soups, sauteed and served on top of pasta, and grilled or sauteed as appetizers. We will keep you posted of upcoming seafood seasons as we get the information from our fishermen.